A bier is literally a bearer for a coffin. Our bier has a detachable upper wooden frame on which the coffin rests. 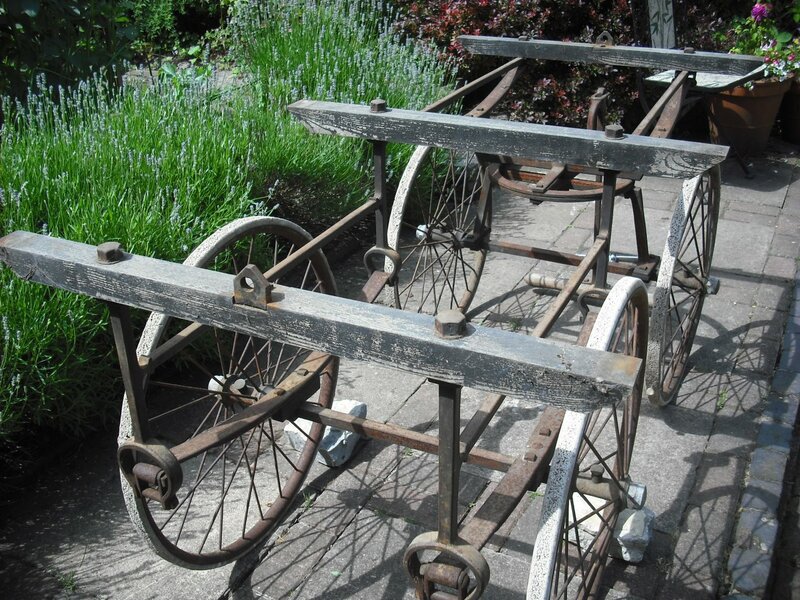 Harvington is most fortunate in still possessing one of these relics of the past. The bier used as a display in 2007. 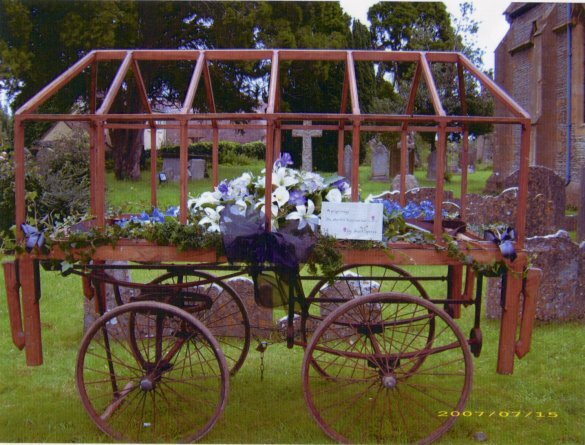 The village had its own undertaker and he, along with church officials, would arrange how and when to transport the corpse to the church and churchyard for the funeral service and burial. The body would be laid out at home and then collected by the undertaker using a cart or purpose built hand-drawn bier at least from Victorian times onwards. The more wealthy villagers would have no doubt hired a horse-drawn hearse for the occasion, a costly affair in past times. 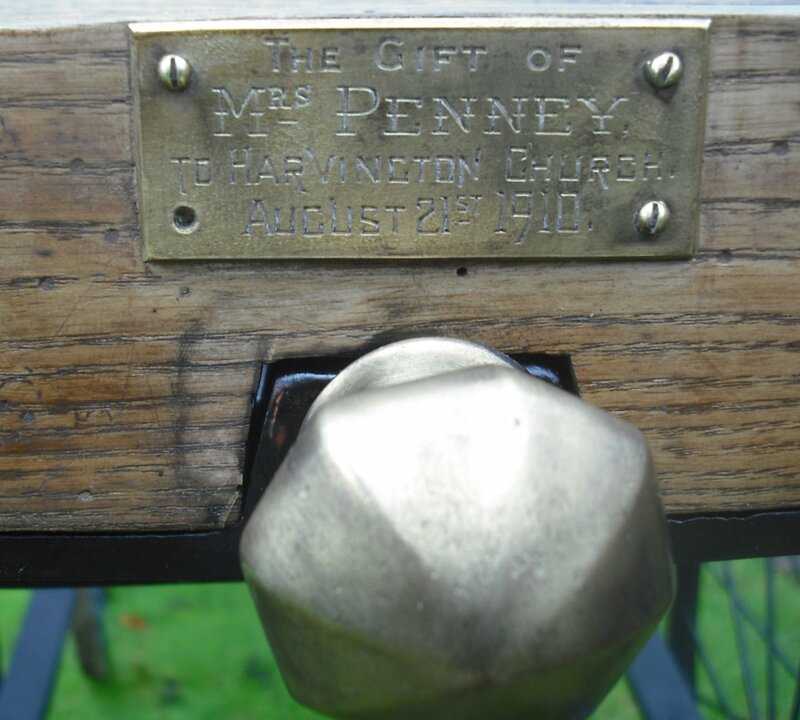 As the above plate indicates, the bier was presented by Mrs Penney to Harvington church in 1910. The Penney family lived at Cedar Lodge and owned land in the village. They later donated a plot to the village for the erection of the village hall. 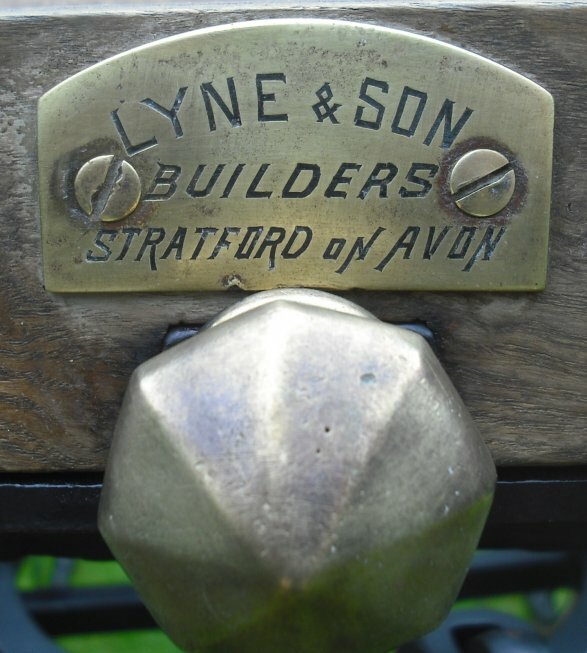 Harvington's bier was made by Lyne & Son in Stratford. It is quite a standard model for the time with the exception of the detachable wooden canopy. 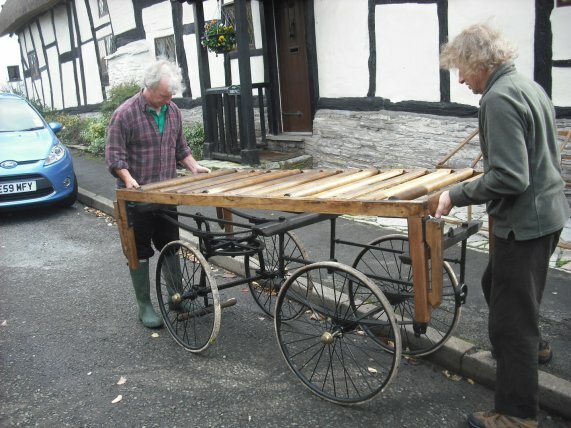 This was used as a support for flowers etc., an added touch as the bier was pulled through the village. 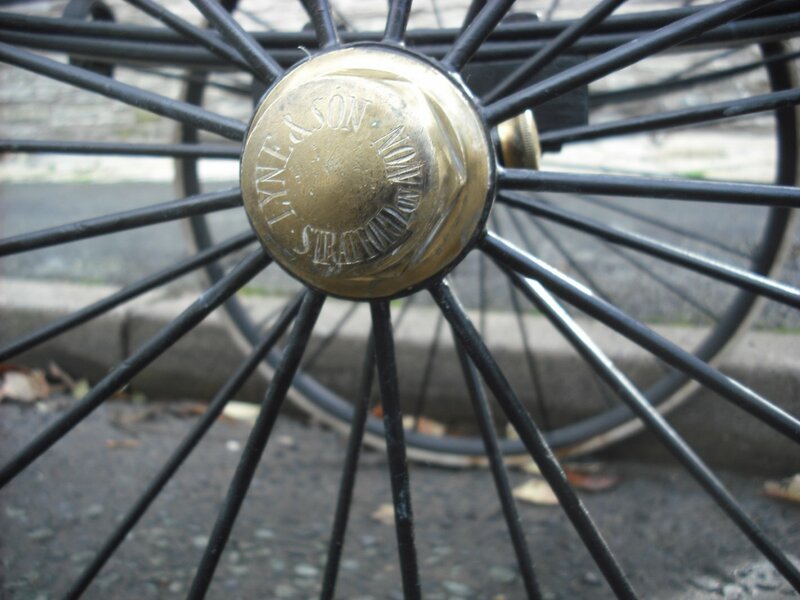 The main body of the bier is made entirely of iron with white rubber tyres and brass adornments such as the hubs. 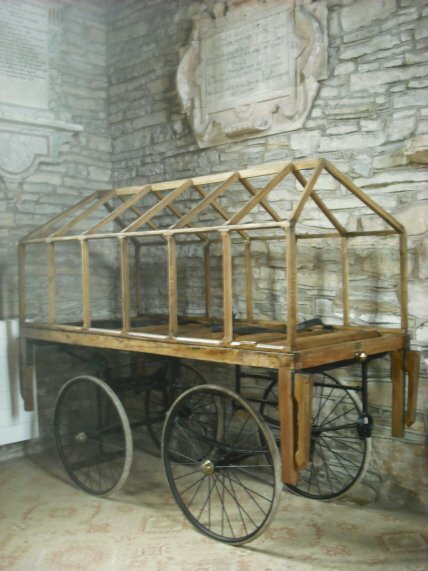 The detachable oak frame, replete with handles legs, rollers and leather straps was used by the bearers to carry the coffin into the church for the service. William John Bromley was the village undertaker for over 50 years from the early teens to the early 1960's, so he would have known the bier intimately. Perhaps it is he who first used it. 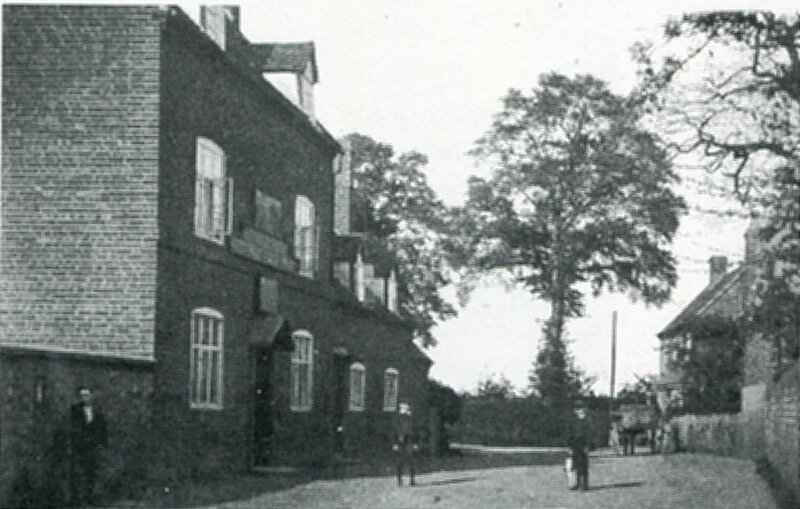 Mr Bromley was also the Innkeeper at the Coach and Horses from 1905 until 1934 when the Bromley family built Croftland on the corner of Cress Hill and Anchor Lane. The last time it saw active service was in 1966. Jean Spires, Mr Bromley's granddaughter, who still lives in the village, remembers that her grandfather stipulated that his body was to be brought from the hospital where he died, back to his home at Croftland and that the bier was to be used to transport his body to the new churchyard behind the church. There is a question as to where the bier was stored. It is assumed that until 1934, it was probably stored at the Coach and Horses where Mr Bromley carried out his undertaking business. After he retired from innkeeping and had moved his business to his new home at Croftland, it was either stored in his outbuildings or perhaps in the old Hop kiln where he stored timber for making coffins (information from Michael Harris). After Mr Bromley's death in 1966, the bier was given back to the Church and it spent the next 40 years housed in an old railway carriage, which is believed to have been placed in the cemetary specifically to store the bier. When the railway carriage was removed circa 2008, the bier was placed between two wooden buildings on the south side of the church under a tarpaulin. Fresh from the maker's factory, it must have looked very smart but over many decades of neglect, it had gradually succumbed to rust and decay so in 2013 the task of its restoration was undertaken. The iron frame, although covered in rust was otherwise in good order. It was dismantled and stripped of the rust along with patches of its original black matt paint. It was then coated with a superior form of red oxide and then sprayed with a new coating of matt black paint. The wooden structure, along with the wooden canopy, was a different matter. There was much decay, especially in the joints. The wood was worm infested and the main lengths had lost their strength through rot. However, every effort was taken to retain as much of the original structure as possible. The main lengths had to be filled with special strengthening wood filler while a number of struts, including one leg, had to be replaced. Then, after stripping away old varnish, the structure was liberally coated with Danish oil. 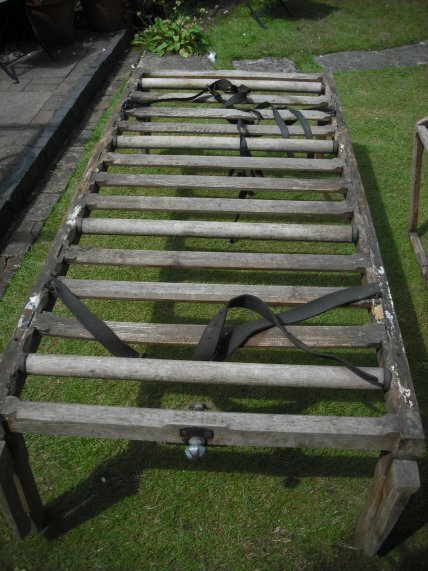 The canopy was in a similar condition. The leather straps were stiff, cracked and blackened through age. These were soaked in a leather rejuvenating oil. 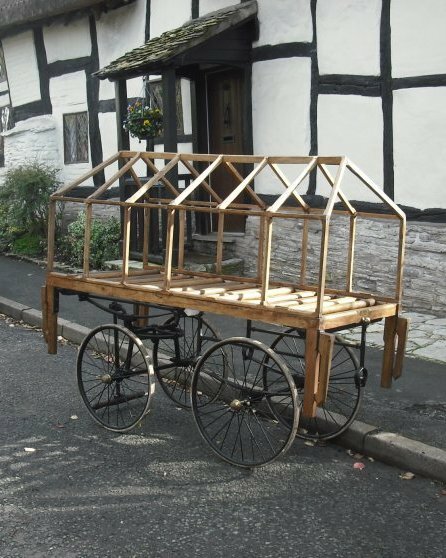 Thanks are given to Michael Reynolds and Rupert Parkinson for their advice and support with wood working and the iron work. The bier was presented again to the church on Saturday 19th October 2013. Julian André Rawes, Crooked Walls, Harvington.